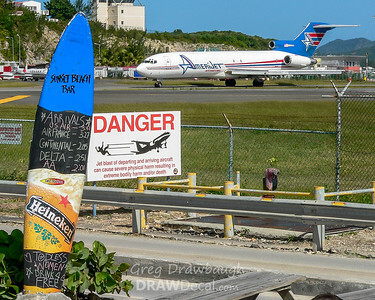 That IS what the surfboard says! 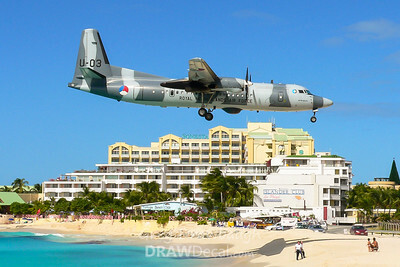 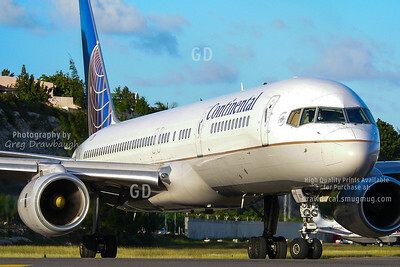 Amerijet 727 N804AJ prepares to depart from St Maarten in this view from 2005. 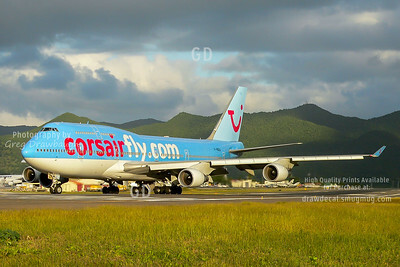 Since it is too big for the taxiway, the Corsairfly.com 747-400 F-HSEA back taxis on the runway in preparation for its departure back to Paris. 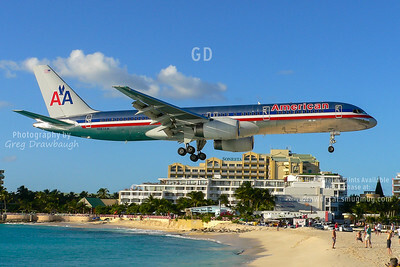 From 2005, American 757 N663AM lands in paradise.